MBM 0841 AUTOBOOK Automatic Bookletmaker. The MBM 0841 AUTOBOOK Automatic Bookletmaker. saves time and money. 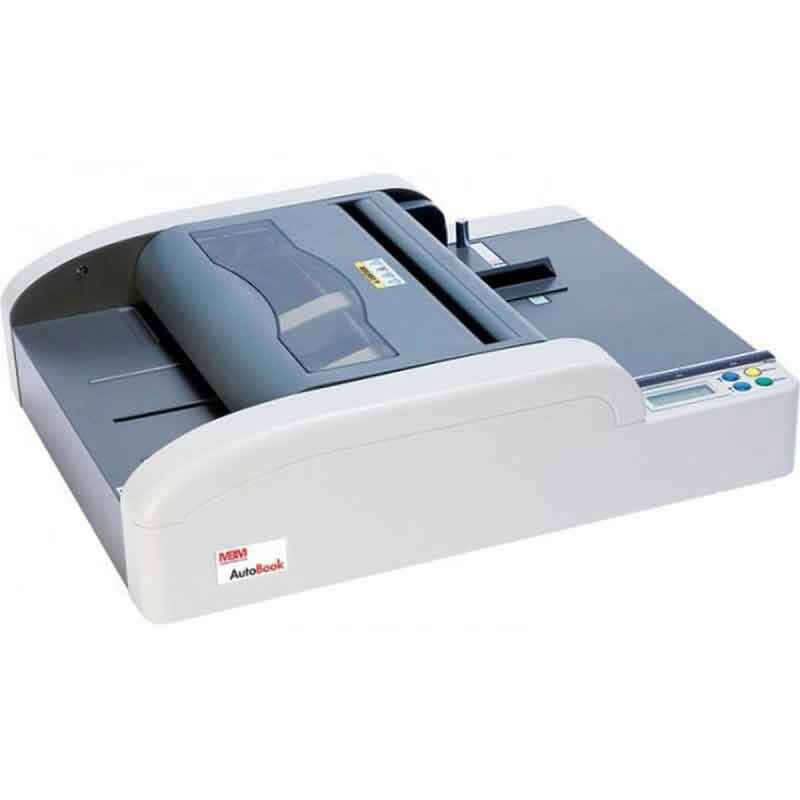 Easy-to-use, push button controls with 4 digit counter and automatic timer automatic set-up (6 pre-set booklet sizes and 6 programmable) choice of automatic or manual operation modes makes booklets up to 60 pages* automatic paper centering dual staple heads with 5 positions interlocking cover for safe operation 100 staple capacity all-metal construction. Dimensions (D x W x H) 17 1/2" x 22" x 6 1/2"
You're reviewing: MBM 0841 AUTOBOOK Automatic Bookletmaker.